Residents and Business owners throughout the Greater Cleveland Metropolitan Area and Northeastern Ohio, consider W.F. Hann & Sons as the leading source of AC repair work, AC installation and AC service in the region. For over 110 years, our company has been regarded for delivering the most outstanding AC service, effective productivity and improved temperature control in our air conditioning products. We feel that our customers deserve the comfort, safety and secure operation of their AC repair, AC installation and AC service. Irrespective of what our clients need, W.F. Hann & Sons will strive to custom develop everything to their precise specifications. We know how outdated systems can harm both your living environment and your bank account. Consequently, clients can rely upon W.F. Hann & Sons to solve any problems to improve their AC service functions and to reduce their operational and ownership costs. Therefore, when Broadview Heights customers desire to have the best AC repair, AC installation or AC service in the industry, W.F. Hann & Sons is the only name they need to know. Broadview Heights, Ohio, a suburb of Cleveland, is found in Cuyahoga County with more than 19,000 residents who call it home. W.F. Hann & Sons is conveniently located more than 18 miles northeast of Broadview Heights, at: 26401 Miles Road in Warrensville Heights, Ohio. It is no secret that Broadview Heights residents recognize W.F. Hann & Sons’ NATE (North American Technician Excellence) certified technicians as the leading provider of reliable AC installation, AC service and AC repair work. If Broadview Heights customers are contemplating buying a new air conditioning system, they understand they can count on W.F. Hann & Sons for all their AC service needs. We have the requisite skill and experience to deliver Broadview Heights residents and businesses with a state-of-the-art AC service system that delivers a healthier and cleaner environment for them in their homes and offices. It is common knowledge that our AC installation saves both energy and money for our customers. Not only will W.F. Hann & Sons meet the expectations of Broadview Heights clients, but we will consistently exceed them. 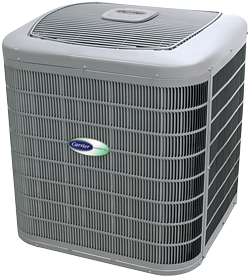 You can rest assured that when you place your AC repair work, AC installation and AC service needs in the care of W.F. Hann & Sons, everything will be handled appropriately and affordably. Our exceptional AC service, AC repair and AC installation are unmatched in the industry. W.F. Hann & Sons are well-known for always considering it customers’ needs first. Furthermore, our technicians are all licensed, insured and factory-trained specialists. What’s more, we will always adapt our schedule to fit into yours! We will also protect your property by wearing foot coverings, using drop cloths, disposing of waste and removing all our AC service equipment when we finish our job. With W.F. Hann & Sons, you will always receive the most professional AC installation, AC repair and AC service maintenance from. W.F. Hann & Sons is available 24/7 for any and all emergencies. To schedule an appointment for the finest AC installation, AC repair and AC service needs, call us at: (216) 831-4200 today.